Carim-Todd, L., K.G. Bath, G. Fulgenzi, S. Yanpallewar and D. Jing et al., 2009. 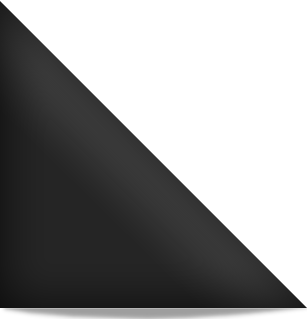 Endogenous truncated TrkB. T1 receptor regulates neuronal complexity and TrkB kinase receptor function in vivo. J. Neurosci., 29: 678-685. Sen, S., A.K. Jaiswal, S. Yanpallewar and S.B. Acharya, 2007. Anxiogenic potential of ciprofloxacin and norfloxacin in rats. Singapore Med. J., 48: 1028-1032. Yanpallewar, S., K. Fernandes, S. Marathe, K. Vadodaria and D. Jhaveri et al., 2010. Alpha-2 adrenoceptor blockade accelerates the neurogenic, neurotrophic and behavioral effects of chronic antidepressant treatment. J. Neurosci., 30: 1096-1109. Yanpallewar, S., S. Rai, M. Kumar, S. Chauhan and S.B. Acharya, 2005. Neuroprotective effect of Azadirachta indica on cerebral post-ischemic reperfusion and hypoperfusion in rats. Life Sci., 76: 1325-1338. Yanpallewar, S.U., D. Hota, S. Rai, M. Kumar and S.B. Acharya, 2004. Nimodipine attenuates biochemical, behavioral and histopathological alterations induced by acute transient and long-term bilateral common carotid occlusion in rats. Pharmacol. Res., 49: 143-150. Yanpallewar, S.U., S. Rai, M. Kumar and S.B. Acharya, 2004. Evaluation of antioxidant and neuroprotective effect of Ocimum sanctum on transient cerebral ischemia and long-term cerebral hypoperfusion. Pharmacol. Biochem. Behav., 79: 155-164. Yanpallewar, S.U., S. Sen, S. Tapas, M. Kumar, S.S. Raju and S.B. Acharya, 2003. Effect of Azadirachta indica on paracetamol-induced hepatic damage in albino rats. Phytomedicine, 10: 391-396.